Invest in your business with this special tax deduction. 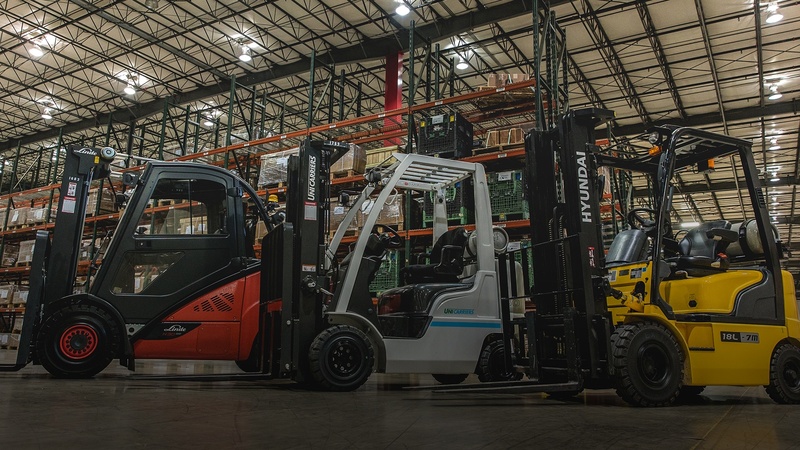 Now is your chance to take advantage of a special tax deduction applicable on new and used equipment purchased and put into service before the end of 2018. That means if you buy or lease a piece of equipment, you can deduct the full purchase price from your gross income. Section 179 can provide you with significant tax relief for this 2018 tax year. But act now because in order to take the deduction for this tax year, the equipment must be financed or purchased and put into service between January 1, 2018 and the end of the day on December 31, 2018. Usually when your business buys a piece of equipment, you get to write them off a little at a time through depreciation. So for example, if you spend $50,000 on a machine, you can write off maybe $10,000 a year for five years. 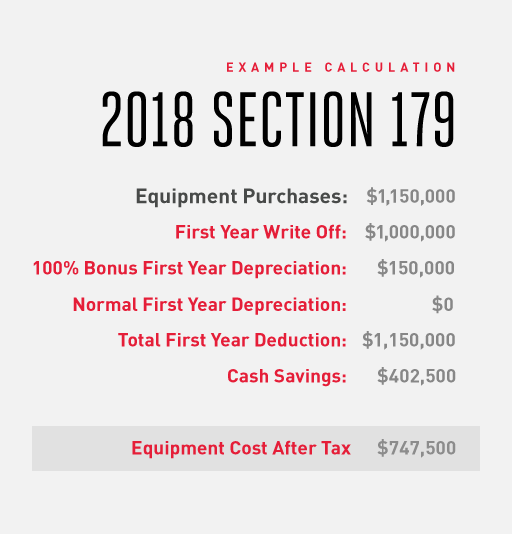 Section 179 allows you write-off the entire cost of your equipment on your 2018 tax return, up to $1,000,000. In order for Section 179 to remain a “true small business tax incentive,” the deduction begins to reduce, dollar for dollar, at $2.5 million and is completely eliminated above $3.5 million. How much you could save depends on the amount of qualifying purchase. Use this 2018 Section 179 Calculator to see how much the Section 179 tax deduction can save your company. What is the difference between Section 179 and bonus depreciation? Bonus depreciation is only available some years. Right now in 2018, it’s being offered at 100%. While Section 179 applies for new and used equipment, the bonus depreciation is only available for new equipment. When applying for these provisions, Section 179 is generally taken first, followed by bonus depreciation. What kind of equipment qualifies for the deduction? Any equipment that could benefit your company — from office supplies to material handling equipment. See a full list here. When do I have to purchase equipment by? This special Section 179 tax deduction for 2018 expires at midnight on Dec. 31, 2018. In order to deduct the full price of your equipment from your 2018 taxes and take advantage this higher deduction limit, it must be purchased and put to use by then. Successful businesses take advantage of legal tax incentives to help lower their operating costs. The Section 179 deduction is a tax incentive that is simple to use, and gives businesses extra incentive to invest in themselves by adding capital equipment. Simply put, taking advantage of the Section 179 deduction will help businesses keep more capital, while also getting needed equipment and software. Contact a Hodge Representative to take advantage of this special tax deduction.